Founded as a bicycle manufacturer by Ernie Humphries and Charles Dawes in 1882, the firm dabbled with motor bicycles as early as 1899 and again in 1906. 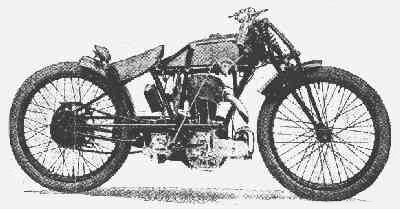 OK started manufacturing Precision-powered two-stroke motorcycles in Birmingham in 1911. OK-Precision won third place in the 1913 Lightweight TT. After WW1 they made several models using their own and Blackburne engines. Several OK machines were ridden to TT wins in this decade. Dawes broke away to form Dawes Cycles in 1926. Changed to OK-Supreme Motors in 1927. HRD designer Alec Bennett and E. J. Massey joined them in 1928. Humphries purchased the stock and tools of HRD in 1928, later selling the trademark to Phil Vincent. Made several models, including a 250cc Flying Cloud and the 1930 250cc Lighthouse (later 350cc, engines by Williams and James, later JAP) - named for a glass inspection plate in the camshaft tower and their finest model. It was also their final model. After WW2 they produced a few 346cc grass-track bikes with JAP engines before closing in 1946.